I love the expression “failure is not an option,” but I dare you to flip the script. Do something scary with the expectation to fail. Fail at least once a day. I love the expression “failure is not an option,” but I dare you to flip the script. Do something scary with the expectation to fail. Offer to give a talk at a conference, or ask for a discount at Neiman Marcus. Go for something you’ve never dared, and instead of thinking “it won’t work, what’s the point,” say “I wonder what I can get away with.” Overtime, taking a risk like starting a business or giving a talk won’t seem like such a big deal. 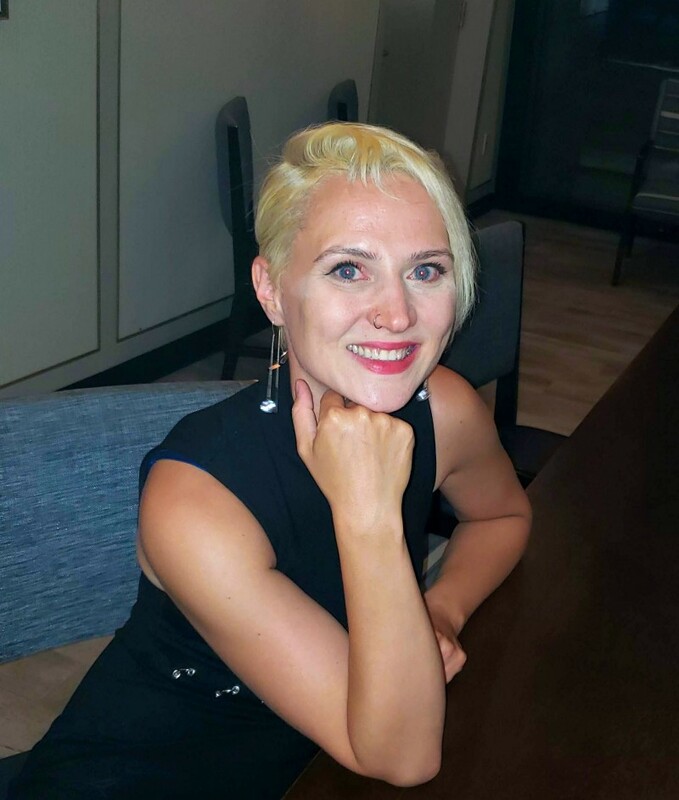 As a part of our series interviewing experts on how to live a “ravenous life” — a life filled with the passion, pleasure, playfulness and abundance that come naturally to those who dare to be authentic, I had the pleasure of interviewing Maryna Shkvorets. 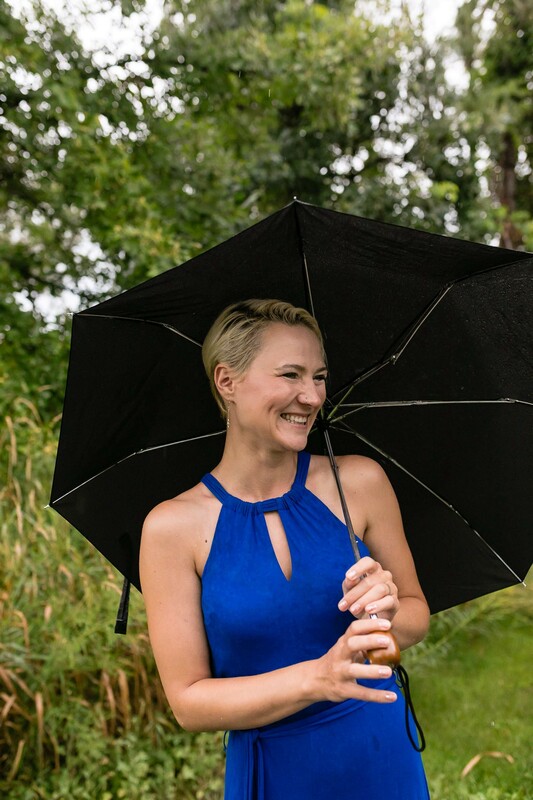 Maryna is a public speaking coach and strategist specializing in engagement and persuasion. She is obsessed with the growth mindset — the conviction that anything can be mastered with the right guidance, and she is a believer that your fears should energize you rather than paralyze you. When do I feel most alive? I asked myself this question as I was contemplating a career change. I feel most alive when I am learning something completely new, when I am taking risks, and when I am completely afraid. It was time for a change and that was scary. I have worked so hard to achieve a level of stability and mastery, was I really going to throw it all away? In a word, yes. Once I knew the why, I could focus on the how, and the best way to jump into a world of learning, risks and fear was to start a small business. The rest is a story of “one thing led to another.” There was a lot of learning and a lot of mistakes. And of course, there were a lot of triumphs as well. Now I can truly say that I feel fulfilled by my career. I am living my life with intention and purpose. Not only am I growing and stretching myself, I feel exhilarated to serve and inspire the people who would rather bathe their cat than speak in front of a crowd. That is a great question and my answer may vary from one day to the next. Every morning I set an intention and right now my intention is to choose risk. Choose the things that are scary. Choose the things that make me scream “what are you thinking!” Choose courage. Choose to learn. For you this choice can be big or small. It can be easy or hard. When it’s hard, ask yourself “Why am I afraid to do this?” And just allow yourself to feel it through. This takes practice, and it may involve asking yourself more questions, but in the end you’ll feel better about taking the first step in a scary direction. Let me tell you about the first time I had to give an important talk. I was a young medical research assistant at a hospital and I had to present to all the head doctors and researchers. No pressure at all. I worked really hard to prepare, I made a really nice Power Point, I practiced, and off I went. Whether this talk was good or bad, I couldn’t even tell you. Standing in front of this impressive group of MD’s gave me a total out-of-body experience. I was so nervous that I had no idea what was coming out of my mouth, I was just hoping that my autopilot could get me through. And at the end, I just wanted to hide. But I don’t give up that easily. I belonged there, and I felt the need to prove it. For my second talk I had to go in with a completely different mindset. I had to teach myself a whole new way of being. I asked myself “what would it take to go above and beyond?” Having that clarity allowed me to not only to engage and connect with my audience, it allowed me to experience an amazing presence and state of flow. It was exhilarating. And now this whole new way of being is what I teach. How to feel totally confident, engaging, and present while presenting, even if you have always hated being up at the podium. Ask the right questions. “What could I do to feel confident and excited today?” I ask myself a version of this question every morning, and teach my clients to do the same. The point is not to answer it outright, but rather to let it linger in your subconscious. Overtime, you’ll notice that you take actions to answer that question without even thinking about it. Gratitude journal. Much like asking the right questions, taking a moment to be grateful is a great habit. I do this both in the morning and at night. And I write two-pages worth on those days when I feel like nothing’s going right. It’s a total mood-booster, and it shifts your self-talk from negative to positive. Start your day with a luxurious stretch. Some days boosting your mood can be a little hard, so give yourself a head-start with a two-minute stretch while still in bed. It’s amazing how much your body can affect your brain. Stretch out your arms and legs to make you feel victorious and alive and allow your mood to follow. Read something inspiring today. Give yourself the intention to feel inspired and pick something up to read. Ask yourself what could you take away to feel more alive. Even if you’ve read it before, you’ll see it with a new pair of eyes. On the topic of reading something inspiring, my most recent read was Mindset by Carol Dweck. Her research on the growth mindset really blew my mind over a decade ago, and I’ve been singing her praises ever since. However, after reading this book, I realized that I still have a long way to go in fostering this mindset myself, which is actually really exciting — I love a challenge. Sometimes I wish that everything I did was an instant success. But that would only mean that I am not trying anything challenging. I do have mentors and it does help to stand on their shoulders, but there is no rulebook for anything that’s truly important. I learned that I have to go for it, I have to give it my all, and I have to be okay with what happens next. Actually yes! I have created a free online workshop “How to be an engaging speaker even if you’ve failed in the past” that answers the questions around public speaking and confidence that you won’t see anywhere else. I completely understand that some people need success fast, and some don’t even know where to start when it comes to becoming engaging and confident in public speaking. What I strive to do differently is to meet you where you are and work with you to overcome any roadblocks, including fear and anxiety. Remember the growth mindset. Anything can be mastered with the right guidance.